This light sensor measures light in the visible and ultraviolet electromagnetic spectra. An RGB color sensor detects relative contributions of primary colors in light. Go Direct Light and Color directly connects via Bluetooth wireless technology or wired via USB to your platform. The sensor can be used for the study of visible light intensity, UV light intensity, and color investigations. Connect the Go Direct Light and Color to the included USB Charging Cable and any USB device for two hours. You can also charge up to eight Go Direct Light and Color Sensors using our Go Direct Charge Station, sold separately (order code: GDX-CRG). An LED on each Go Direct Light and Color indicates charging status. Press button once. Red LED indicator next to the Bluetooth icon flashes when the unit is on. Press button again (after 5 second delay) to turn on/off the white LED. In order to turn on the white LED on the sensor face, wait five seconds after initially turning the sensor on and press the button once. A single press will toggle this LED on and off. Avoid pointing the white LED directly at your eye. The light is bright and may cause discomfort. To ensure longest battery life, turn white LED off when not in use. The Go Direct Light and Color contains a small lithium-ion battery in the case. The system is designed to consume very little power and not put heavy demands on the battery. Although the battery is warranted for one year, the expected battery life should be several years. Replacement batteries are available from Vernier (order code: GDX-BAT-300). To store the Go Direct Light and Color for extended periods of time, put the device in sleep mode by holding the button down for at least three seconds. The red LED will stop flashing to show that the unit is in sleep mode. Over several months, the battery will discharge but will not be damaged. After such storage, charge the device for a few hours, and the unit will be ready to go. The Go Direct Light and Color is not water resistant and should never be immersed in water. Light Sensor: The sensor uses a silicon photodiode. It produces a voltage that is proportional to light intensity. The spectral response approximates the response of the human eye, as shown in this diagram. UV Sensor: The sensor uses a photodiode sensitive to UVA light. It incorporates photodiode, amplifiers, and analog/digital circuits into a single chip using a CMOS process. When the UV channel is activated, it is able to detect UV intensity and reports this value as a relative term. RGB Color Sensor: The color sensor uses a combination of sensors that have a peak response that corresponds roughly to red, green, and blue light. It incorporates photodiodes, amplifiers, and analog/digital circuits into a single chip using CMOS process. The software analyzes the relative contribution of each primary light color based on a peak response of 615 nm for red, 525 nm for green, and 465 nm for blue. Each of the sensors will register a light intensity (relative units). Press the power button on the sensor to turn it on. (The Bluetooth LED will flash red.) Start the Graphical Analysis app on your device and select the desired sensor from the list of available sensors. If connecting via Bluetooth, the LED will be steady green. Click on the sensor icon and select the desired channel(s) from the list of available sensors. Expose the light aperture to a variety of UV, visible light, or colors and confirm that the sensor reading responds appropriately. Press the power button to toggle the white LED on and off. 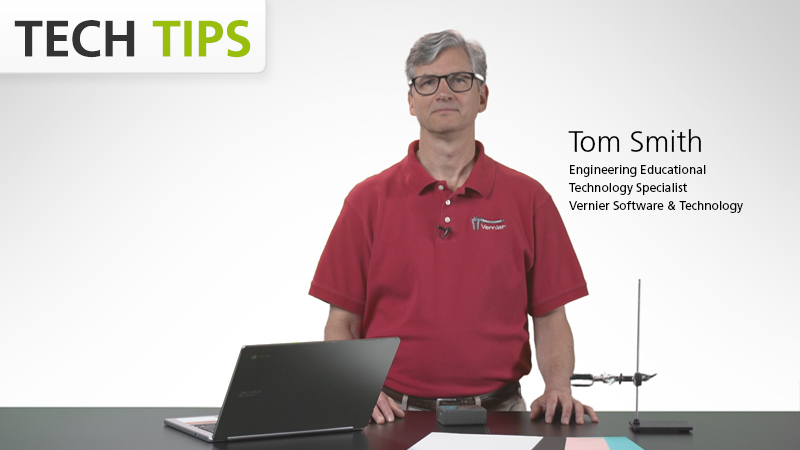 If you have followed the troubleshooting steps and are still having trouble with your Go Direct Light and Color, contact Vernier Technical Support at support@vernier.com or call 888-837-6437. Support specialists will work with you to determine if the unit needs to be sent in for repair. At that time, a Return Merchandise Authorization (RMA) number will be issued and instructions will be communicated on how to return the unit for repair.